Rarely has a sovereign fund been as high-profile in the life sciences as Rusnano, which is investing $10 billion of Russian government money in companies from a variety of industries, including life sciences/biomedicine. In a country that’s had a painful relationship with capitalism since the Soviet state collapsed, it’s no surprise the idea of a giant state-backed fund making bets on private companies has drawn skepticism – including from then-Russian president Medvedev four years ago. Chubais was a key figure in the post-Soviet privatizations that concentrated wealth in the hands of so-called oligarchs, and he has run Rusnano since 2008. He survived the recent shakeup, during which several directors left the fund. That's still rather murky, so we won't be surprised if plans shift in the next couple years according to the political winds within Russia. Rusnano has set off alarms – at least within certain factions of the Russian government – by posting much larger than expected losses within its portfolio. It’s unclear how much of them are associated with its life science deals, which have included big names in the US. Among its direct investments are BIND Therapeutics and Selecta Therapeutics, both built around technology from the lab of Bob Langer, a Massachusetts Institute of Technology professor and the ne plus ultra of the American ideal that combines academic and capitalist freedom. It doesn’t get more apple pie, biotechnologically speaking, than a Langer spin-out. Going into BIND’s initial public offering in September, Rusnano owned 11.5% of the company and according to documents bought more than 200,000 shares at the IPO price, leaving it with a 9.3% stake in the company currently worth $22.3 million. Through subsidiary RMI Investments, Rusnano also has moved heavily into Regado Biosciences, first by leading its Series E round in late 2012, then buying more shares at IPO, which took place only because Regado accepted a drastic haircut. At the end of August, RMI owned nearly 26% of Regado. The cardiovascular treatment developer debuted in late August at $4 a share and closed October 16 at $5.71. On top of its direct investments, Rusnano has committed $200 million to Burrill & Co.’s fourth general venture fund, which began investing in late 2011. Topping that, it has earmarked $330 million to invest side by side with Domain Associates, the US venture fund, in a deal that also aims to build Russian manufacturing capacity for the products that emerged from the firms’ jointly-funded portfolio companies. It’s a significant source of capital for hungry biotechs, but there are strings attached. Non-Russian firms that take Rusnano money must establish a footprint in Russia, part of the firm’s remit to build a domestic pharmaceutical industry through the Pharma 2020 initiative, which, as our IN VIVO colleagues explain here, is as much a proclamation as it is a specific roadmap. 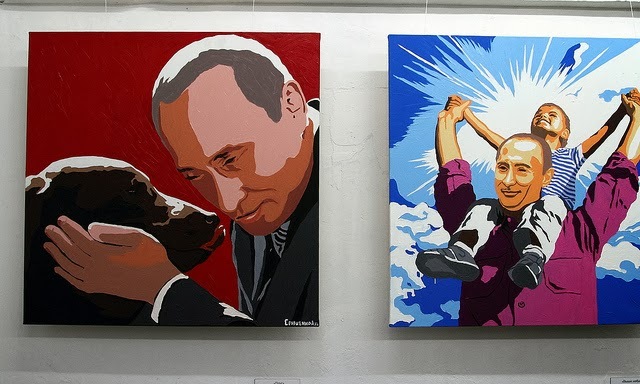 Putin art photo courtesy of flickr member volna80.